Ms. Foerster lands at Markit's New York office, joining the group with over two decades of experience. Markit, a provider of financial information services, has added Samantha MacRae Foerster as its newest senior sales specialist and director. She steps into her new role with immediate effect, Finance Magnates has learned. 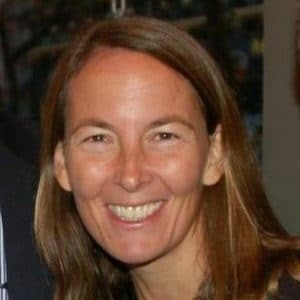 In her new role at Markit, Ms. Foerster will serve as the group’s Director and Equity Sales Specialist, based out of the company’s New York office. She will be working closely with Markit’s senior and account management, whilst teaming up with the group’s product teams – in this capacity she will be focused on Markit’s equity sell side customers. She joins Markit with over two decades of experience across the financial services industry, having held a series of senior level roles during her career. Prior to landing at Markit, she worked as the Head of Relationship Management and Business Development & Partnerships at Aqua Securities. Additional stops also include senior positions at Distinction, Fidessa, SunGard, and Credit Suisse, among others, part of a career spanning back to 1996, according to information made public on her Linkedin profile. Earlier today, Markit made headlines after its Transaction Cost Analysis (TCA) data capabilities were integrated into FlexTrade Systems’ execution management system (EMS) platform, FlexTRADER EMS. The new data assimilation will enable FlexTRADER EMS platform users to obtain relevant pre-trade data and TCA-related tools aimed to improved the order-routing experience.